Pittman Center is one of my favorite areas in East Tennessee. 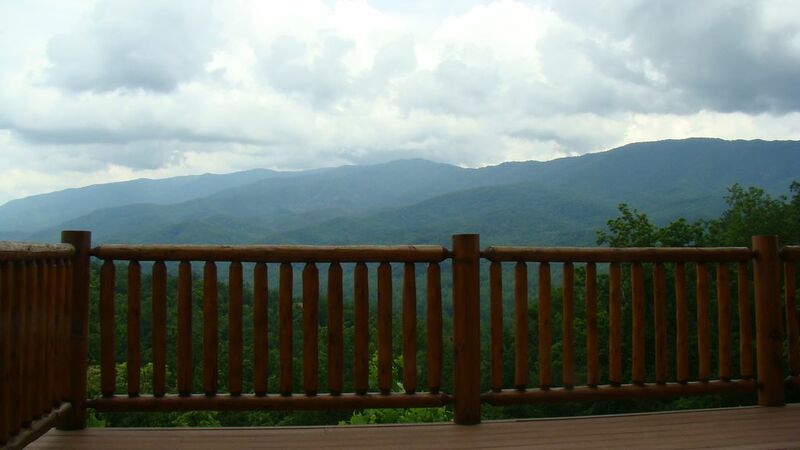 It is close enough to Pigeon Forge and Gatlinburg to be convenient, yet feels like you are in a small mountain town located only a few minutes to the Greenbrier entrance of the Great Smoky Mountains National Park. This portion of the National Park is one of my favorites as it attracts far fewer visitors than the crowded areas in Gatlinburg and Cades Cove. One of my favorite hikes is the Ramsay Cascades trail where you can see what I believe to be the best waterfall in the Smoky Mountains National Park. 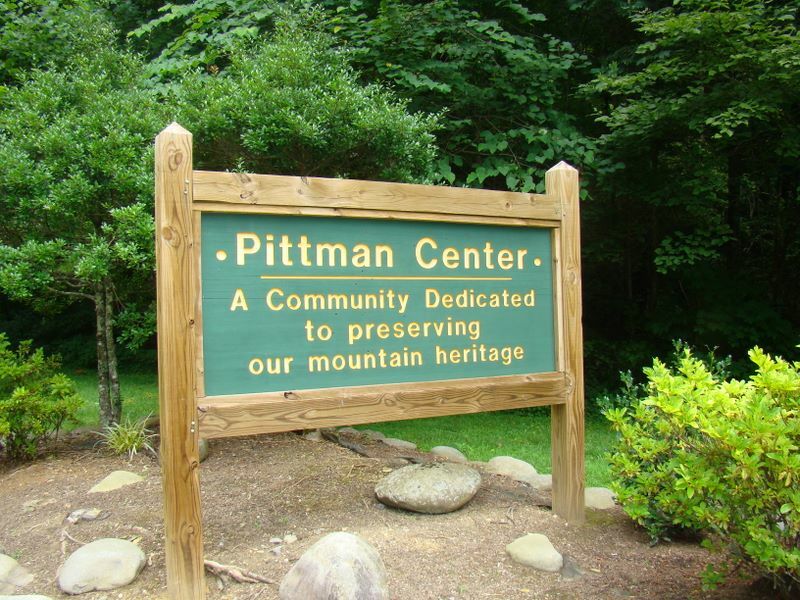 As you enter Pittman Center off 321 (East Parkway) you are greeted with a sign saying "Dedicated to preserving our mountain heritage". I think this says it all in relation to Pittman Center. The town is dedicated to keeping the mountains and river pristine and ensures the long term heritage of the area to remain intact. The town of Pittman Center incorporated in order to keep the sprawling growth of Gatlinburg from reaching its quiet surroundings. In 2000, the National Trust for Historic Preservation named Pittman Center one of its "dozen distinctive destinations". Pittman Center is a tight knit community with it having its "heritage day" on the third Saturday of each September. Many long time locals and their family members live in Pittman Center - several after being displaced from the Greenbrier portion of the Great Smoky Mountains National Park once it was created. Pittman Center was also featured on a recent Travel Channel tv show named "Bizarre Foods". 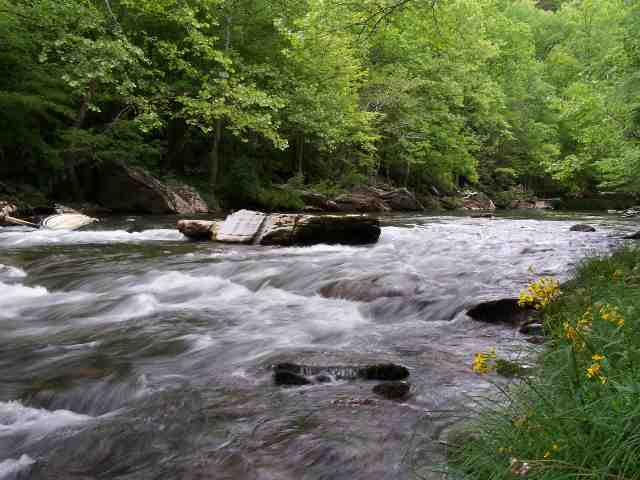 The middle prong of the Little Pigeon River flows through Pittman Center and has been designated as one of America's cleanest waterways as it flows directly from the Great Smoky Mountains National Park. Land is scarce along the Little Pigeon River as properties rarely come up for sale. 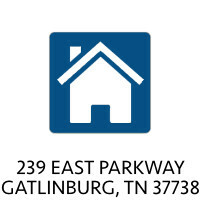 The Riversong development, although not actually inside the town of Pittman Center is one of the few actual cabin developments with river frontage in the Sevier County area. Other well known areas of Pittman Center include Webb Creek and Emerts Cove. Webb Creek is a beautiful rock bottom creek and Emerts Cove (the original name of Pittman Center0 is level laying land located near 416 (Pittman Center Road). 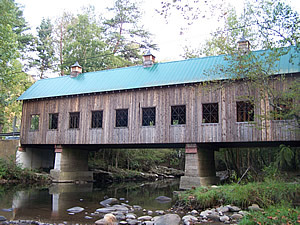 One of the features of Emerts Cove is the recently constructed covered bridge located on the Middle Prong of the Little Pigeon River. To create and perpetuate a quality living environment and to encourage quality development that supports that end. To encourage development that supports a tourist-oriented economic base that relates to and magnifies our unique relationship to and with the Great Smoky Mountains. The bridge spans the waters of the Middle Prong of the Little Pigeon River which was designated an 'outstanding national resource water' in March 1998 by the State of Tennessee. At that time, whis was the only stream outside a national park to receive this designation. Environmental stewardship has played a prominent role in achieving this designation. Special thanks goes to the "Save the Middle Prong" organization whose members spent time and money and were ultimately willing to go to tcourt to maintain the integrity of this outstanding natural treasure for future generations." Pittman Center also generates property tax income from high end developments such as "Pinnacle View". The development off Pinnacle Vista Rd. has some amazing views of the Smokies including Greenbrier Pinnacle and the sawtooth mountains (between Collins & Mount Guyot). Mount Guyot rarely gets much attention from tourists, but is the second tallest in the Great Smoky Mountains National Park and the fourth-highest summit in the Eastern United States at 6,621'. 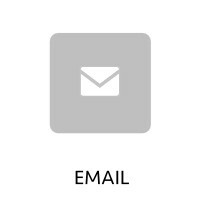 Properties vary greatly within Pittman Center. There are typical mountain homes on secluded woodland, level lot homes in the Emerts Cove area, rental cabins, and luxurious second and vacation homes. 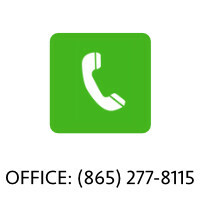 The one thing you will notice in Pittman Center is the town is very well maintained. You wont see much (if any) trash laying around and the fields and lawns of the properties are typically very well kept with a sense of pride. There are still some working farms in the area, but they are relatively few even though there are many large tracts of land. The density of homes within Pittman Center is light and creates a sense of privacy and being in the mountains. There are very few typical "subdivisions" in Pittman Center. The planning commission has strict guidelines on the development in order to keep the heritage of Pittman Center intact. Riversong, which is actually located just outside of Pittman Center on Rt. 416 (Pittman Center Road) is one of the more luxurious cabin developments in the area. It features cabins as low as $180,000 all the way up to over $1,000,000. Most of the cabins in Riversong are priced from $300,000 to $500,000. Several homes on the river command over $1,000,000 including homes directly across the Little Pigeon from one of former Vols football coach Phil Fulmer's homes. The development consists of primarily rental cabins with some second/vacation cabins and a couple permanent residences. 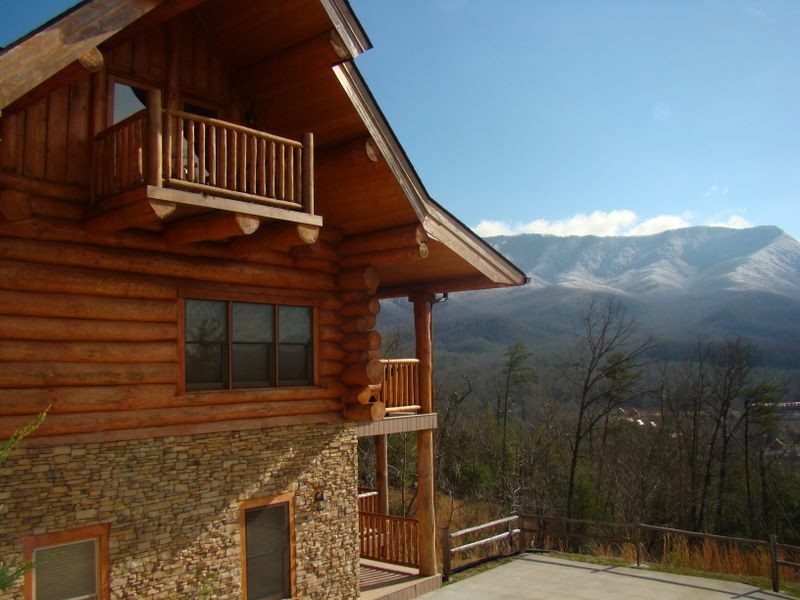 "Pinnacle View" is a luxury cabin development within Pittman Center. Many of these cabins feature enormous logs and tremendous mountain views. Most of these cabins were built with the potential of a second/vacation/retirement property in mind with the large closets, luxurious baths, and large kitchens. 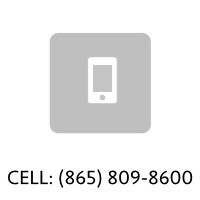 However, the cabins are also permitted for overnight rental use. 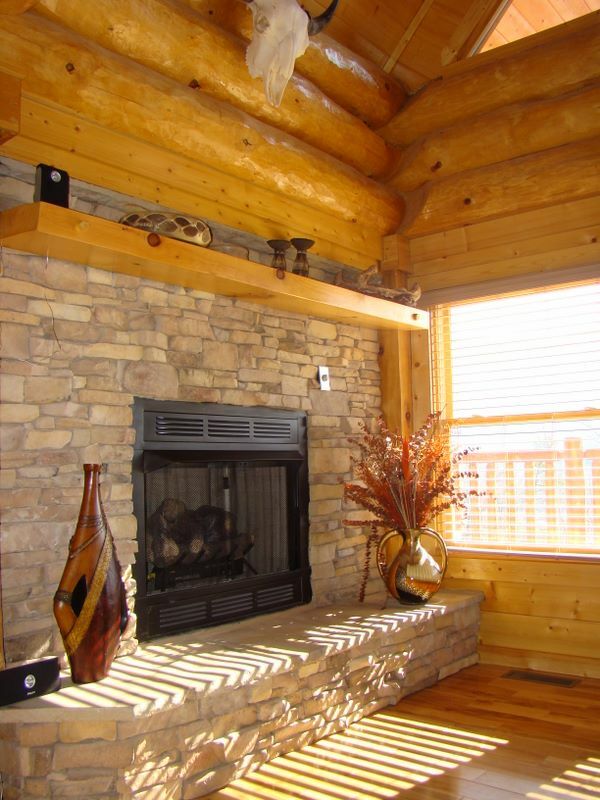 The vast majority of cabins within Pinnacle View are of high quality construction and materials. Stacked stone on the foundations are very common along with several private gated cabins. At its peak in 2005 and 2006 cabins were selling for $800,000 to $1.5 million within the development. Things have cooled off in 2008 and 2009 as a few foreclosures and short sales have taken place.